A Chris Fowler personal appearance, Chris Fowler speaking engagement, or Chris Fowler endorsement will reflect well on your company. To hire Chris Fowler now for any corporate appearance, fundraiser, motivational speaker event, personal appearance, autograph signing, or website endorsement please contact our celebrity agents at 1-877-6-SPORTS. We will contact Chris Fowler or contact Chris Fowler's agent and provide you with the booking fees and availability immediately upon your request. Direct Sportslink is the only sports speakers bureau and talent booking agency based in the United States securing only sports talent for corporations, associations, and organizations for motivational speaking engagements, personal appearances, and endorsements. We are the premier sports celebrity booking agency and a sports celebrity procurement expert. Accordingly, we will provide you with any relevant Chris Fowler website information and booking agent details so that you can hire Chris Fowler for your next event. 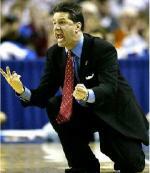 Chris Fowler graduated from the University of Colorado in 1985 with a Bachelor of Science degree. He was the first recipient of the Alan Berg Memorial Journalism Scholarship, awarded by the Denver Press Club. 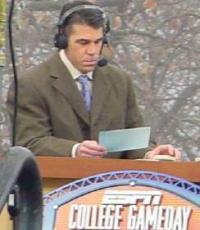 Chris Fowler is a sports broadcaster for ESPN known best for his work on College GameDay for college football. 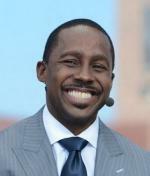 Since 1989, Fowler has been the primary studio host for college football and men's college basketball on ESPN. He started anchoring College GameDay in 1990 and then expanded to ESPN's other Saturday college football segments in 1991. Fowler has also worked with ESPN's Summer X Games since 1995 and the Winter X Games since 1998 as well as occasional tennis and horse racing broadcasts on ESPN. Based on your interest in Chris Fowler as a speaker or for a personal appearance, Direct Sportslink has provided you additional links below for other sports talent with similar appearance fees, speaker topics, and categories that match Chris Fowler.